(a bit before or a bit after depending on the weather). 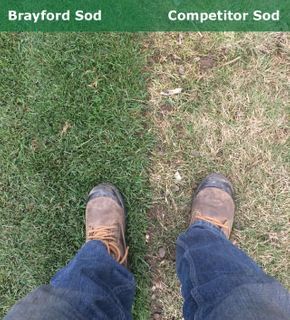 Give us a call for all the information you need to get that beautiful lawn you always wanted! 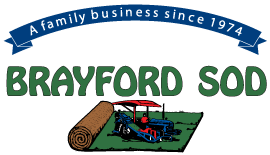 Brayford Sod Farms, a family owned business, has been supplying sod to commercial and residential customers, along with landscape professionals, since 1974. Proudly based in Alliston, ON, we serve clients across southern, northern and central Ontario. Our business has grown over the years, but our commitment to producing a top quality product and providing excellent customer service has remained the same. Our friendly staff will be happy to help you with any questions you may have.